It’s been about three months since Microsoft released Windows 8, and people have had lots of time to hear about what’s new and decide whether they wish to upgrade. If you have decided to commit to the upgrade, you need to be sure that your system is capable of handling the new software, or else burn a useless hole in your wallet. Now that the time frame for cheaper Windows 8 upgrades is over, it’s highly important to be certain that such an upgrade will go as smoothly as possible. Therefore, to help you out, here are some tips on determining whether your system can handle the upgrade, and what you can do to improve performance once you’re running Windows 8. To “snap” apps, you need a screen resolution of 1366 x 768. If you do not meet all of the listed requirements, I would suggest looking at upgrading your system’s hardware, if possible. If not, you’ll probably need to look at getting a new system if you are still wanting to run Windows 8. If you do meet the requirements, however, you should run the Windows 8 Upgrade Assistant. This utility will do some extra work to check not only your system’s basic hardware, but also the compatibility of all attached hardware, such as webcams, printers, joysticks, and other peripherals. If the upgrade assistant gives you the green light, you should be in good position to perform an upgrade. Once you have the upgrade media (whether it’s a physical disc or the upgrade assistant which will download the upgrade for you after charging you the fee), it’s fairly painless to complete the procedure. The setup wizard asks a minimal amount of questions, and you can even perform a “clean install” upgrade directly from your old Windows, without having to reboot into the installer. Of course, once the upgrade completes, you’ll need to restart in order to do some final cleaning up and launch into the new operating system. Congratulations, you’re now running Windows 8! If, after the upgrade, your system feels sluggish, you can change a few settings to increase performance. A fair amount of the resources and CPU cycles needed by Windows come from the graphical interface on which you do your work, so it’s a good idea to turn off any fancy graphical effects that aren’t really necessary to stay productive. To turn these all off to up your system’s performance, begin by opening the Control Panel. You can do this by going into the Start screen by hitting the Start button on your keyboard, and then typing “control panel.” Hitting enter will open the application. From here, click on System and Security –> System –> Advanced system settings. The new window that appears should already be in the Advanced tab. Click on the Settings button under the Performance section at the top of the window. A new Performance Options window should appear which is on the Visual Effects tab. To turn off all the graphical effects, choose the “Adjust for best performance” option. 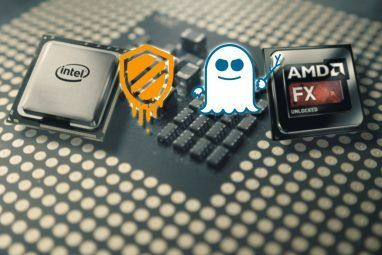 This should help reduce some strain on your CPU, GPU, and RAM. Another performance trick is to adjust the size of the paging file on your computer. The paging file is a file on your hard drive that is responsible for holding any data that won’t fit into the RAM. In other words, it’s a space on your hard drive that is used as overflow for whenever your RAM is completely used. Conceptually, it is similar to the swap partition for Linux operating systems. In the same Performance Options window, switch from the Visual Effects tab over to the Advanced tab. Then click on the Change button in the Virtual Memory section at the bottom of the window. Then, in the new window, turn off “automatically manage paging file size for all drives,” and then choosing Custom Size. The size that you put in is really up to you, so it mostly depends on how much RAM is already installed on the system and how much free space you have on your hard drive. As people who would need to do this trick typically have about 1 GB of RAM, I would suggest setting it to at least 2048 MB. Both fields should hold the same number, so that the space is always reserved for the paging file. When you’re done, hit the Set button before closing out of all your opened windows. Last but not least, it’ll also help to clean up some space on your hard drive after performing the upgrade. To open the disk cleaning utility, launch an instance of Windows Explorer by clicking on the folder icon in the taskbar in desktop mode. Then, click on your C: drive from the list in the left panel, and then click on Manage from the ribbon menu. Finally, click on Cleanup to launch the utility. Let it scan through all your files to see what can be removed, and when it opens up the results, click on the “Clean up system files” button to really search through everything. Provided that you have backed up or moved out any files that you may have wanted to keep from your old Windows installation, the disk cleaning utility will clean up all traces of the upgrade, typically reclaiming around 20GB or more. You also shouldn’t have to worry about defragmenting your hard drive anymore, as Windows 8 does it routinely by default. 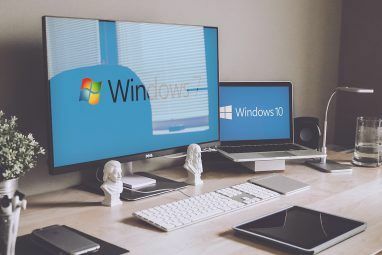 With these tips on whether an upgrade is feasible, and how to improve performance on systems that barely meet the requirements, you should be on your way to a decent Windows 8 experience based on the hardware that you have. Plus, there are a few more things you can change to make your Windows 8 experience even more enjoyable 7 Windows 8 Niggles Resolved 7 Windows 8 Niggles Resolved Windows 8 has a number of features that can be annoying to experienced users of the traditional Windows desktop. From adding a Start menu to disabling the bulky ribbon, noisy live tiles, and unnecessary lock... Read More . Are you upgrading to Windows 8? What other tips could you offer? Let us know in the comments! Very useful article. W8 is very fast, better than W7. I don't know if 8 is lighter than 7 because I haven't tried it yet. But I wouldn't run ANY Windows on the minimum recommended hardware - especially a 1GHz CPU. "Running" and "running well" are two different things. Windows XP would run in 512MB of RAM, but did much better in 1GB and the "sweet spot" was reportedly 2GB. Windows 7 runs in 1GB, but does better in 2GB and the "sweet spot" is reportedly 4GB, which is pretty much what most machines come with these days. In other words, take the minimum recommended RAM, double it for decent performance, then double it again for best performance. Windows 8 should be OK in 4GB of RAM, like 7 was. But if you want to run it on an older machine with less than 4GB, upgrade your RAM. RAM is cheap these days, so as long as your motherboard supports it in some configuration it should be an easy upgrade. Of course, the better hardware, the better experience. If people have good hardware, they wouldn't need to worry about whether Windows 8 runs on their system. This article was meant for those who aren't sure or are on the borderline. This is not a big issue. I am using windows 8 as its release preview was released. Every pc running windows 7 can run windows 8 without any further hardware. I was previously using windows 7 and now i am using windows8 without any hardware changes, and its performance is pretty well then windows 7. If you upgrade from 7 then your drivers should be good to go. Use the upgrade assistant for an older computer and do not install if your CPU does not have the NX feature. (used for malware prevention) The upgrade assist will tell you. I've installed 8 copies all on XP era machines and they are lighting fast!! I installed twice on non-NX feature machines and it failed. Over all it gave old machines a new lease on life. Classic Shell will fix your start button if you want it back. Thanks for the tips, Jeff! When it comes to upgrading to Win 8 , a quote from "Dirty" Harry Callahan is appropriate "You gotta ask yerself, do I feel lucky? Well, do you?!" "You also shouldn’t have to worry about defragmenting your hard drive anymore, as Windows 8 does it routinely by default. " Is the default defrag as resource intensive as the default File Indexing? Not really. It is disk-intensive (of course), but it automatically pauses whenever you start working on your computer. It only activates after your system has been idle for a while. Upgraded both my laptop and desktop to 8. They are new(ish). Let's just say I'm ...disappointed. I had no connection problems in my house under 7. I have this bug that NOW takes ALL my Windows devices and slows down the internet connection. I have a mixed system of MACs and PC. When I am on-regardless of Windows 8 or 7 or XP. the internet fades and I get yelled at by my MAC family. If I am by myself I have burst of connection that fades over time. I tired every trick and idea. Ironically most involve connecting to the internet to research. I am currently rebuilding WIndows 7 and going back to the original drivers that worked. Based on the information you provided, I honestly don't think it's Windows 8's fault when the slow internet connection is also being experienced by the Macs in your home network. 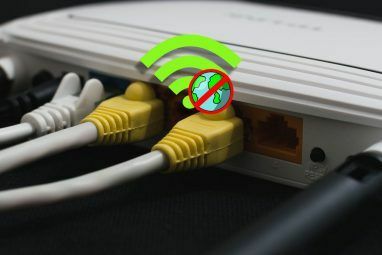 That would rather point to an issue with your Internet connection or home network. Upgrade, at least from xp, ITS NOT so easy, for me it was an awful choice.why? Because, even if you didn't mention, this specific upgrade, requires cpu able to handle the executable byte, but my old FUJITSU, D1450 Motherboard with pentium at 2 GHZ, couldn't perform. After the web upgrade from microsoft, the wizard finished the clear install (this means i didn't want to keep nothing from my old working partition) and rebooted. BUT to my suprice COULDN'T boot because of the previously mentioned requirment. Now, i think, i have to change cpu , but my motherboard (socket 478) CAN'T take cpu to to get thinks working. So finally, in my opinion, i have to change motherboard, meaning of cource, that i have to take an adapter for my hard drive because its an ide, same for the dvd. THANKS MICROSOFT!!! "i have to change motherboard, meaning of cource, that i have to take an adapter for my hard drive because its an ide, same for the dvd." Sorry to hear about your issues. New versions of Windows tend to keep up with the latest hardware, and I'm sorry to say that your hardware seems to be seen as outdated. If you want Windows 8 and future releases, it may be a good idea to just get a new system. Otherwise, if you want to keep the system you currently have, you could give Linux a try. The essential question is not whether my PC will meet Win8's requirements. The essential question is whether the touch-oriented Win8 Lego Interface will meet MY requirements as a user. For me personally, the answer to the first question is a clear yes (my PC would be okay). But the answer to the second question is a resounding NO (as I'm not a tablet-surfing Youtube kiddie, but a serious multitasking worker). I empathize with you on this one. Contrary to popular belief, you're able to multitask how you usually do. Yes, there are some bigger visual changes, but the concepts have remained generally the same. Only Windows 8 apps have been added, but all the legacy support is still there and easily accessible. Windows 8 is definately faster and lighter than 7. Of course it's buggier because it hasn't been out in the wild for as long as Windows 7 has, but I find it to be pretty stable. Haven't encountered any issues so far with my own use. Well Danny after a lot of tweaking I now have it how I want it. And, as a change of heart, am actually getting to like it! I was very excited about upgrading my All--In -One to windows 8. I would finally be able to use all the touch screen perks I hard about. I ran the upgrade advisor from Microsoft. It assured me that Imy Sony-Vaio would support Windows 8. I purchased it and upgrade only to find that Sony will not support the upgrades. No DVD drive, wireless internet and a number of other features I really need. I was ready to re-boot to 7 only to find out that the CD's for my computer are no longer available from Sony. So here I am with a computer that doesn't work and there seems like little I can do about it. What a waste. sorry to hear that, you should have made a complete backup (a complete hard disk image) before installing another operating system (be it Windows, Linux or other) but it seems it's too late. What is the exact model of your computer? I'll search for any solutions if I can find. Have you contacted Sony for an OS disc (the original Windows 7 discs, or at least recovery DVD's) ? Do you have a recovery dvd from Sony? My last laptop was a Sony and it only had recovery dvd's, recently most of the manufacturers don't provide Windows DVD's, they just provide recovery DVD or images. I also remember requesting a Windows CD from Compaq many years ago, they've sent me kindly with requesting no money. Some features most likely will not work out of the box. There's a good chance that you'd need to download Windows 8 drivers for these features from Sony's website.